•Cut the root of 1kg cabbage halfway and then split the leaves with your hands. The cabbage can be diced or left as it is. Cut 700g carrots and radish into batons and quarter 300g onions. Separate each layer of the onion. Sprinkle 1cup course salt between the vegetables. Place the mixed vegetables in a large container and pour enough water to cover them fully. Taste the water to make sure it is really salty, otherwise add more salt. Leave the cabbage immersed in the salted water for 6 hours. Rinse twice, and then let it drain for 2 hours. •Meanwhile, prepare the kimchi filling by mixing ¼ cup chili sauce. 50g shrimp sauce or anchovies, 2 tbsp sugar, 2 tbsp chopped ginger, 8 tbsp chopped garlic cloves and 2 pureed pears together. •Once the cabbage is well drained, mix it with the kimchi filling and sprinkle 4 tbsp sesame seeds over it. 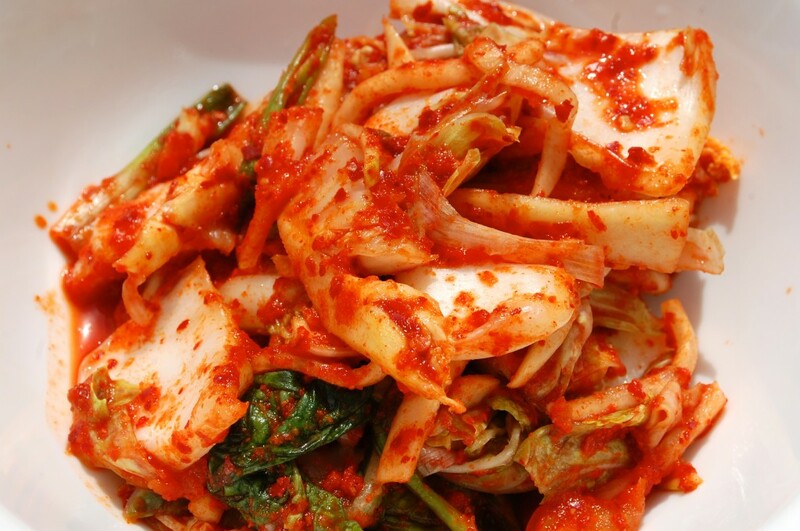 The kimchi can be eaten unfermented, immediately, or after 2-3 days. Use it in stews or pancakes. •Peel and cut 2kg radish into thin strips, approximately 0.2-0.5cm wide. Mix the radish with 1 cup coarse salt and place in a container. Pour enough water to cover it fully. Soak the radish in the salted water for 30 minutes, rinse and drain well. •Meanwhile prepare the kimchi filling by mixing ¼ cup chili sauce, 50g shrimp sauce or anchovies, 2 tbsp sugar, 2 tbsp chopped ginger, 8 tbsp chopped garlic cloves and 2 pureed pears together. •Once the radish is well drained, mix it with the kimchi filling and sprinkle 4 tbsp sesame seeds over it. Cover it and refrigerate, allowing it to ferment for 2-3 days. •Peel and cut 2kg leeks into thin strips, approximately 0.2-0.5cm wide. Mix the leeks with 1 cup course salt and place in a container. Pour enough water into the container to cover the leeks fully. Let them soak in the salted water for 30 minutes. Rinse and drain well. 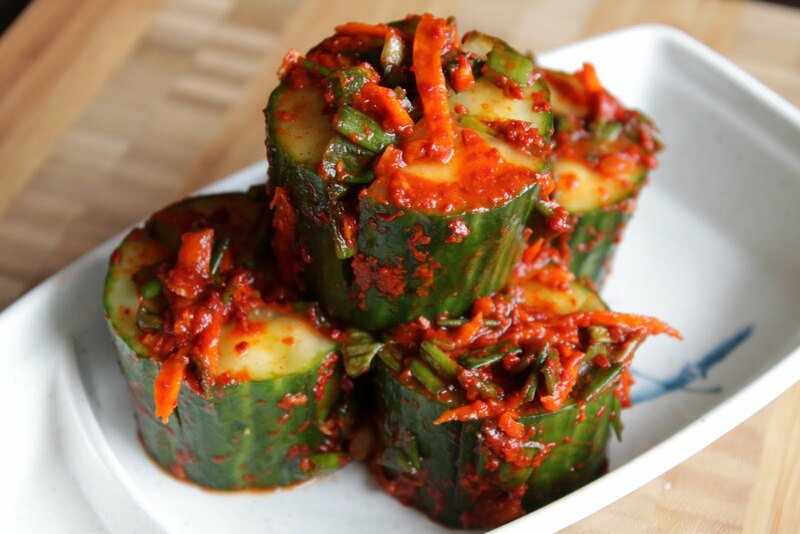 •Once the leeks are well drained, mix it with the kimchi filling and sprinkle 4 tbsp sesame seeds over it. Cover it and refrigerate, allowing it to ferment for 2-3 days. •Cut the root of 1kg cabbage halfway and then split the leaves with your hands. The cabbage can be diced or left as it is. Sprinkle 1cup course salt between the vegetables. Place the cabbage in a large container and pour enough water to cover it fully. Taste the water to make sure it is really salty, otherwise add more salt. Leave the cabbage immersed in the salted water for 6 hours. Rinse twice, and then let it drain for 2 hours. •Once the cabbage is well drained, mix it with the kimchi filling and sprinkle 4 tbsp sesame seeds over it. 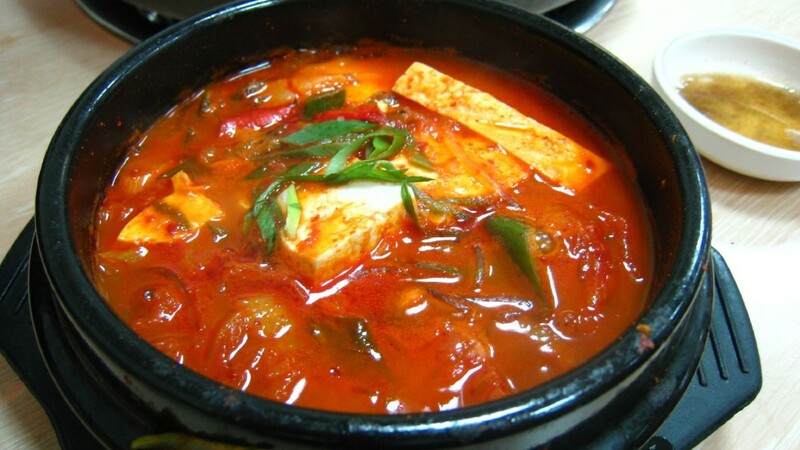 The kimchi can be eaten unfermented, immediately or after 2-3 days. Use it in stews or pancakes.